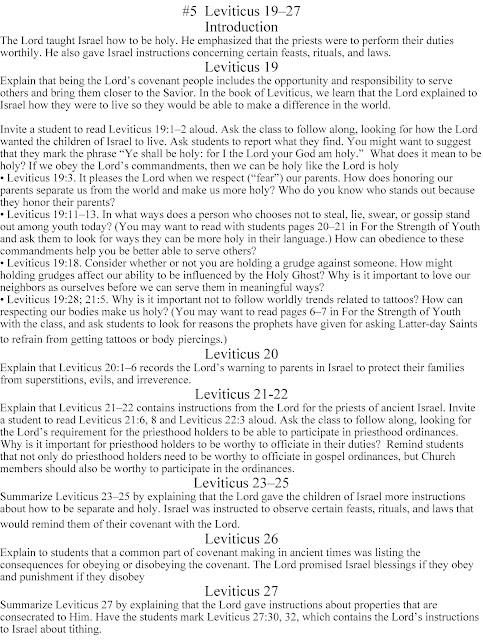 HollysHome - Church Fun: Let your LDS Seminary Students Teach the Book of Leviticus - Handouts of the summary of the lessons. 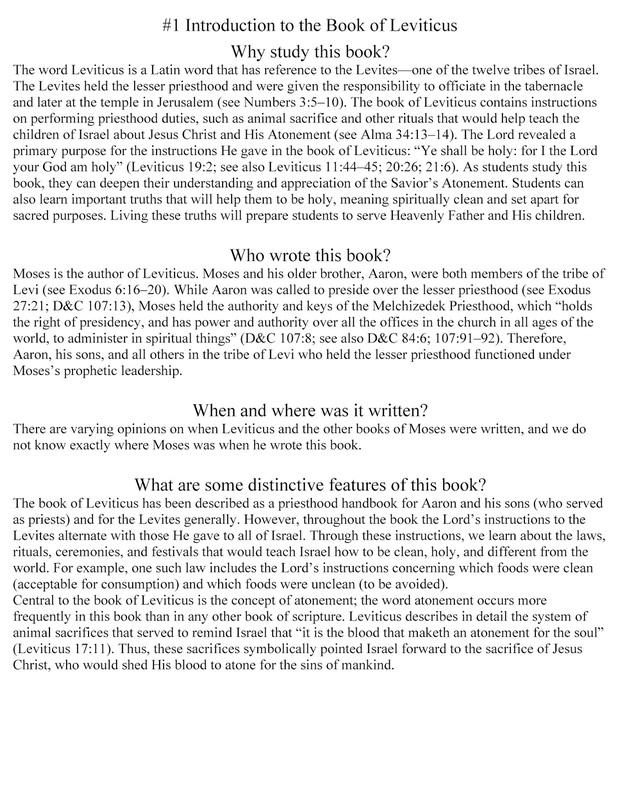 Let your LDS Seminary Students Teach the Book of Leviticus - Handouts of the summary of the lessons. 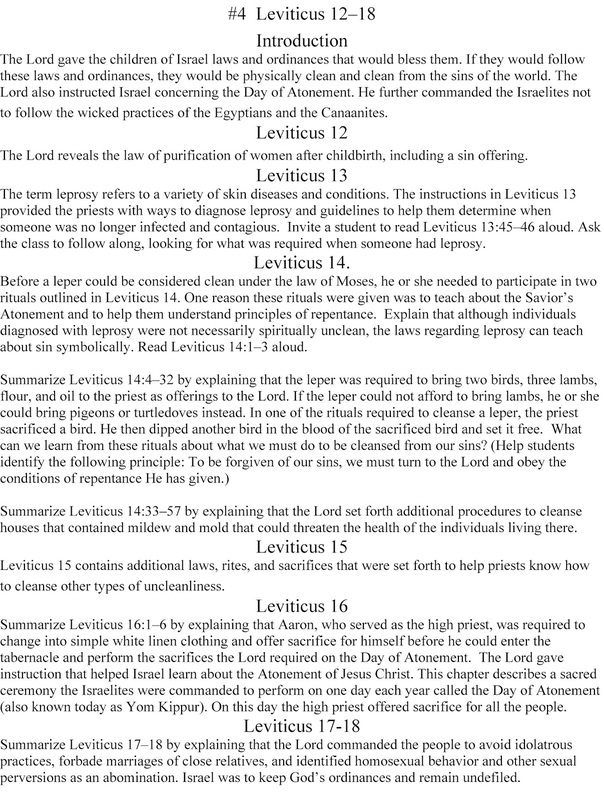 For the lessons in Leviticus I let my students teach it to the class. 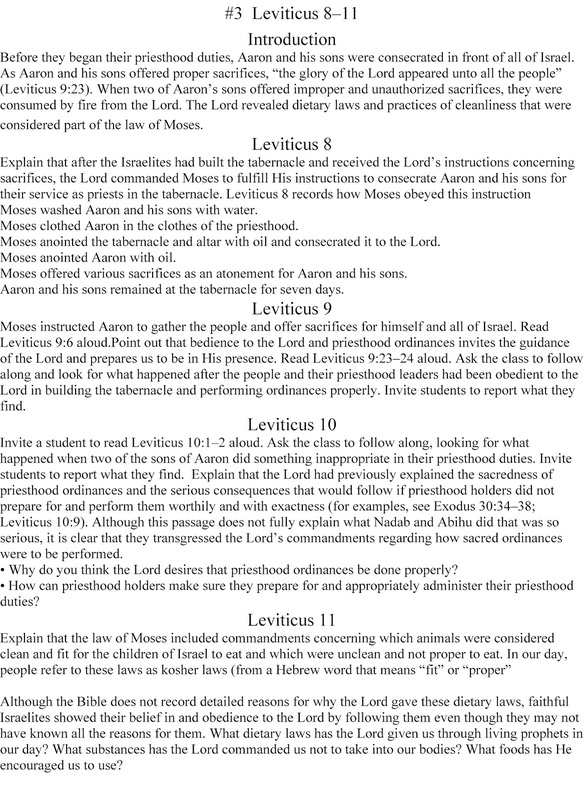 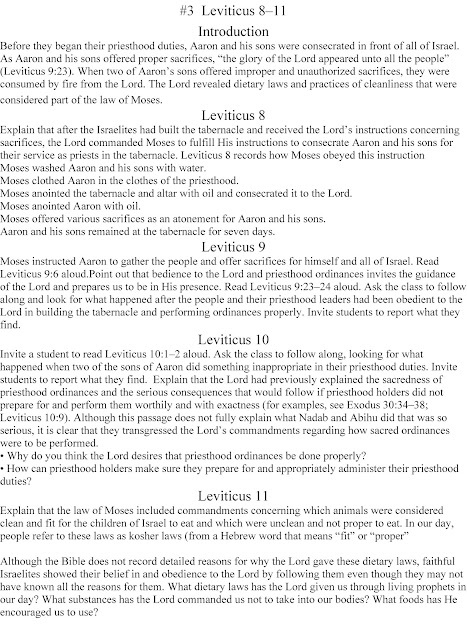 I went through the manual and made a handout for each of the Leviticus lessons. 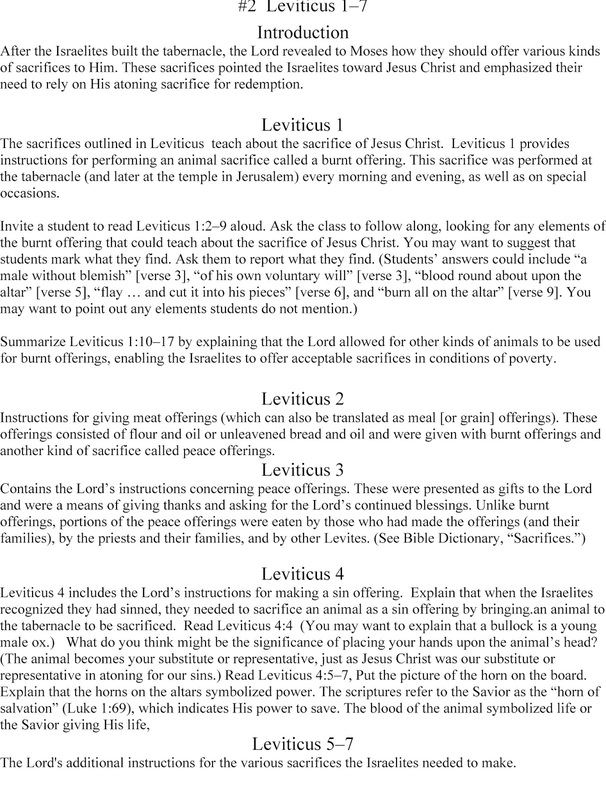 Then I divided my class into 5 groups and gave each group a printout of the handouts below. 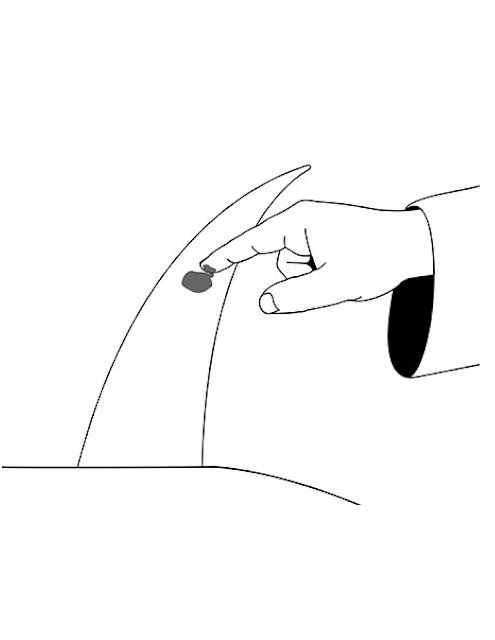 I let each group decided how they wanted to teach it and who would teach what. I gave them about 15 minutes to prepare. 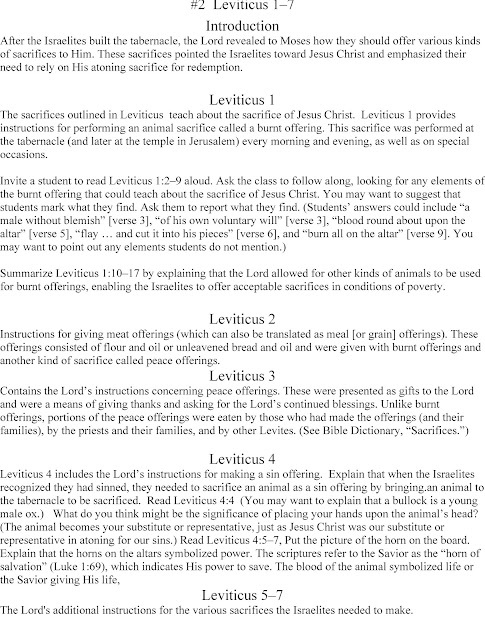 I then had the students give their lesson a group at a time. 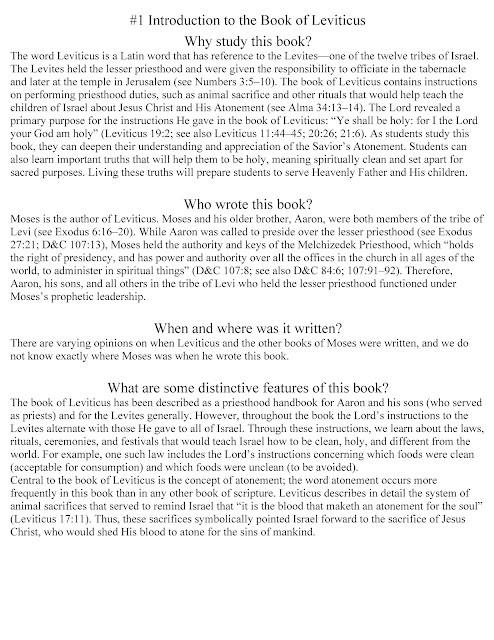 It took a couple of days and they did a fantastic job. For all of my Seminary ideas click here.